Governor Brown has signed a bundle of seven bill’s meant to “strengthen the electric vehicle market,” in California. Below is a list to all of the bills, many of which will not have a direct/huge impact on your operations. AB 2565 by Assemblymember Al Muratsuchi (D-Torrance): Requires commercial and residential property owners to approve installation of an electric vehicle charging station by renters, so long as the station meets certain requirements. Commercial Real Estate groups spent a lot of time of effort working on AB 2565 and went from vociferously opposing the measure as it initially mandated that all commercial properties across the state install EV Chargers, to supporting the measure after it was significantly changed and all of our language requests were accepted by the author. The law now provides protections for both property owners and tenants against unreasonable costs and assures that any EV installations conform to some basic statewide standards. Click on the bill number above to read the law which will go into effect next year. 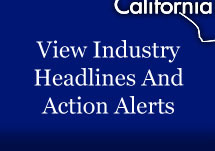 AB 1721 (Linder; R-Corona): Grants free or reduced-rates in high-occupancy toll (HOT) lanes to clean air vehicles. AB 2013 (Muratsuchi; D-Torrance): Increases to 70,000 the number of advanced technology partial zero-emission vehicles that may be allowed in high-occupancy vehicle lanes, regardless of occupancy level. AB 2090 (Fong; D-San Jose): Repeals the level of service requirements on HOT lanes for the San Diego Association of Governments and the Santa Clara Valley Transportation Authority, and directs them to work with the California Department of Transportation to develop appropriate performance measures. SB 1275 (de León; D-Los Angeles): Creates the Charge Ahead California Initiative, which provides incentives to increase the availability of zero emission vehicles in low-income communities. Click here to learn more about each of these bills.